Director of the Melbourne Educational Research Institute at the University of Melbourne, Australia. Researcher in education. His research interests include performance indicators, models of measurement and evaluation of teaching and learning. 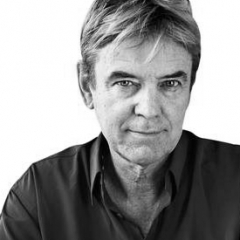 John Hattie became known with his books Visible Learning and Visible Learning for teachers. Visible Learning is a synthesis of more than 800 meta-studies covering more than 80 million students and the result of 15 years of research about what works best for learning in schools. TES once called him “possibly the world’s most influential education academic”. He was Project Director of asTTle and Professor of Education at the U. of Auckland, New Zealand. He holds a PhD from the U. of Toronto, Canada.